Goddamn we have a lot of horses. 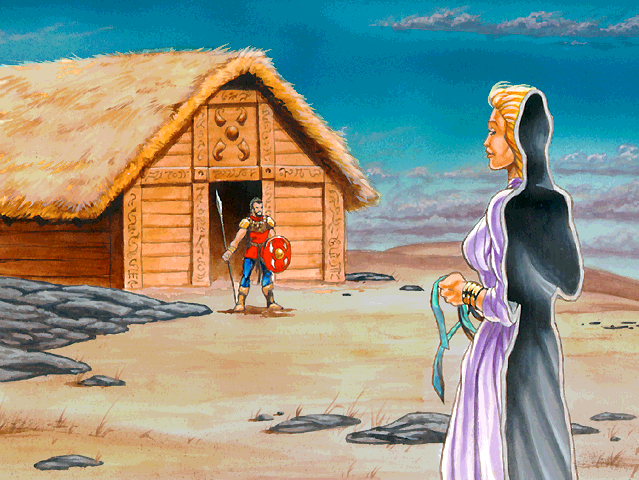 While guarding the stead the next day, Penterest is approached by a lost love. "Penterest, Penterest," the lover says, "You once loved me, but I was unfaithful to you. You were wracked with sorrow, and that made you weak. Because of me, the upstart god, Orlanth, was able to beat you and steal your pride. Now that the world is dark and you are the only remaining light, I see the error of my ways. I have come to restore my love to you, and restore your pride. Come with me, for I have made a safe place for the two of us. Leave these barbarians, and we will hide away until the darkness ends." -"I cannot abandon these people." -"I loved you once, but I love you no longer." -"Orlanth did not steal my pride. He awakened it." -"You're just a chaos creature in disguise." The legends may be slightly useful here.